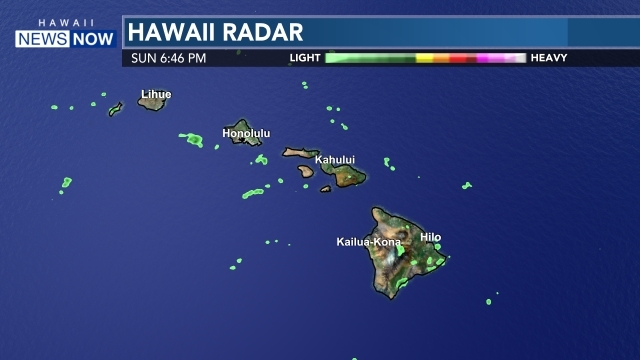 BIG ISLAND (HawaiiNewsNow) - Lava from Kilauea's remote Puu 'Ô'ô vent has again reached the ocean within Hawaii Volcanoes National Park boundaries, at a spot scientists have named the West Ka'ili'ili ocean entry. The arduous hike to West Ka'ili'ili from the bottom of Chain of Craters Road is approximately four miles one-way across an uneven flow field. Currently, several streams of lava are pouring into the ocean, providing dramatic views. Visitors who stay after dark can also see channels of lava flowing down the pali and across the flow field, but conditions can change at any time. Hikers need to heed all warning signs and ranger advisories, and be aware of earth cracks and crevices, sharp terrain and rain-slick pahoehoe lava and other hazards. Steam plumes produced by lava entering the sea contain fine lava fragments and acid droplets that can be harmful. Scientists also confirmed that a lava delta is being formed at the base of a sea cliff at West Ka'ili'ili, and are monitoring the area closely. Lava deltas can collapse with little warning, produce hot rock falls inland, and generate large local waves. "While we are thrilled to be able to provide public access to the new ocean entry site, it is imperative that visitors obey park rangers and all warning signs in the area," said Hawai'i Volcanoes National Park Superintendent Cindy Orlando. "Hikers must be adequately prepared with plenty of drinking water, dressed for rain or sunshine, wear sturdy, closed-toe shoes, carry a flashlight and spare batteries, and be in good physical shape for this hike." Once the wet weather subsides, park rangers will stick reflective trail markers along the rough coastal trail that begins shortly after the end of Chain of Craters Road and leads to a viewing area about a quarter of a mile away. The West Ka'ili'ili ocean entry site is located near the park's eastern border, and is the first time lava has entered the ocean within park boundaries since 2007. Recent ocean entries have occurred outside the park to the east, through private land and areas within County of Hawai'i jurisdiction. Visitors who do not want to hike out to the ocean entry can observe the wispy plume of the ocean entry from the end of Chain of Craters Road, near the ranger station. After sunset, flowing lava from Pu'u 'Ô'ô has been visible from the turnout on the hairpin curve on Chain of Craters Road, weather permitting.